Qingdao International Academician Park achieved major success when it held its 2018 investment promotion fair in Qingdao, East China's Shandong province - presenting around 100 new exciting products and research achievements from 19 academician-led projects to investors from home and abroad. Themed with "New Momentum, New Engine", the fair, held on May 7, saw deals secured for 10 projects with contract amounts totaling nearly 3 billion yuan ($470 million). Among experts showcasing their cutting-edge projects were Zhou Shouheng from the Chinese Academy of Engineering, Wang Yutian from the Academy of Science of the Royal Society of Canada, and Jacques Rougerie from the French Academy of Fine Arts. Taking part in the high-profile event were representatives from more than 180 companies, including China Aerospace Science and Technology, China Electronics Technology Group, German international chemicals giant BASF, as well as local government officials. Organizers said the success of the fair shed light on the local government's dynamic efforts to commercialize science and technology research carried out by top academicians in the academician park in Qingdao's Licang district. The landmark trial for rice production in saline soil provided a key example of the country's impressive technological innovation. The saline-resistant rice was created by agricultural scientist Yuan Longping, who established a saline-resistant rice research and development center in the park in 2016. In May, the center conducted experiments on rice in five areas with different saline-alkali soils across the country, including Shaanxi province, Xinjiang Uygur autonomous region and Qingdao. The aim was to test the yields and quality of the rice in different environments, to produce a saline-resistant rice that can be planted nationwide on a large scale. Yuan Longping's project is just one of the many programs incubated in the academician park. There are now 15 academician-led projects operating there, whose focus ranges from seawater desalination to cancer treatments. Earlier this year, the Qingdao Civil-Military Integration and Innovation Institute opened in the park. Backed by a research team led by Ma Weiming, a leading academician at the Chinese Academy of Engineering, the institute aims to expand its cooperation with companies in Shandong in its military technology research, so as to deepen China's civil-military integration. Wang Xijing, the Party secretary of Licang, said the district would accelerate building the park as a platform to inject new development momentum into the Shandong provincial comprehensive experimental zone. He encouraged the park to make better use of policy support from the province, the city and the district - to further promote commercialization of the academicians' science and technological achievements and attract more professionals to settle in the park. 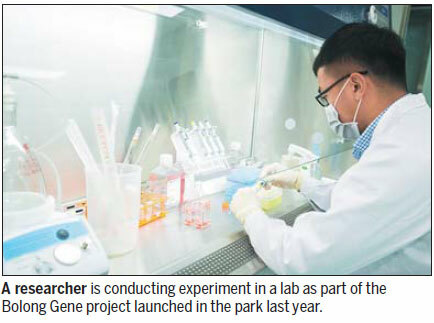 Established in June 2016, the Qingdao International Academician Park has already signed up 108 academicians within two years, 70 percent of whom are from overseas. Park officials said its own modus operandi has played a big role in its rapid development. They said the park established a mechanism that enables each project to have a service team to handle any possible problems along its road to commercialization. The team includes a government official and an employee from the park's office. Team members all pull together to help smooth out the process of the project's arrival at the district, getting commercial partners on board, and for some, a stock market listing. The district has also explored various ways to bring the technology developed by academicians to the marketplace. These include setting up a fund to invest in projects, introducing a science and technology transfer service for companies, adopting a cautious but flexible supervision system and holding regular forums to boost exchanges of ideas among the park's different projects. Wang said, by bringing together leading expertise, the district would make breakthroughs for China's industrial upgrade, and find its own way of innovation. Launched in June 2016, the Qingdao International Academician Park is situated in Qingdao's core urban district. It is positioned to forge synergies with local institutions, including the Ocean University of China and Qingdao National Laboratory of Marine Science and Technology. The park aims to create an advanced platform for technological innovation and commercialization, distinctively characterized by utilizing the collective brainpower of its international experts. The park focuses on fields such as information technology, biomedicine, high-end equipment manufacturing, alternative energy and new material. Within three years, it hopes to attract 10 of the world's top scientists and 100 renowned academicians from home and abroad to build a world-class and unique powerhouse for creation, innovation and entrepreneurship. 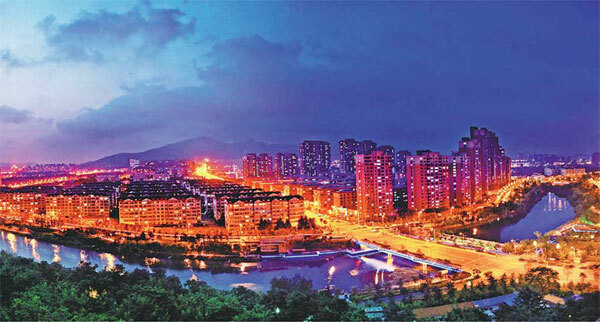 The park has been included in the plan to build Shandong's comprehensive pilot zone for industrial upgrading. Up to now, 15 academician-led projects in areas such as nano-materials, seawater desalination, and cancer treatment, are in the process of commercialization in the park.